Having begun my design career in the age of analogue I have gone from drawing boards and a t square to the laptop and design application. In all this time there is one tool that has not changed one iota that’s the brain. How I use my brain to solve creative problems has remained constant but over the years the tool has, at times, lost some of its edge. Deadline driven adrenalin can dull us and prevent us from exploring deeper into creative problem solving. The solution for me has been not another cup of coffee but rather a sharpening of the saw, a concept out of the 7 habits. I have come up with the combination that works for me Mindfulness, Movement and Meditation. The stream of thoughts are often debilitating, pulling focus away from what is in front of us. Meditation is away to clear away the mental chatter. Even if it means stepping away for 10 minutes in the middle of the process. It gives us some space to smooth out the rough edges and allows the unimportant to flow around us, not stick to us. Mindfulness, similar to meditation, clears away mental clutter. Rather than sitting quietly with a mantra or a guided directional meditation, mindfulness is stepping out of the moment mentally observing it, being with what ever we are doing. Our breath, the feeling of grasping the steering wheel as we head into work, noticing the arrangements of elements in a composition we are working on, undistracted by inputs and information. Making the world right sized. Lastly there is Movement. Something amazing happens when we activate our bodies especially in the out of doors. After some initial trepidation we begin to flow with our physical self the brain takes a break and focuses us on the challenge of that very moment. Then as endorphins flow and a rhythm of exertion settles in clear concise thoughts enter our brain sometimes with startling clarity. 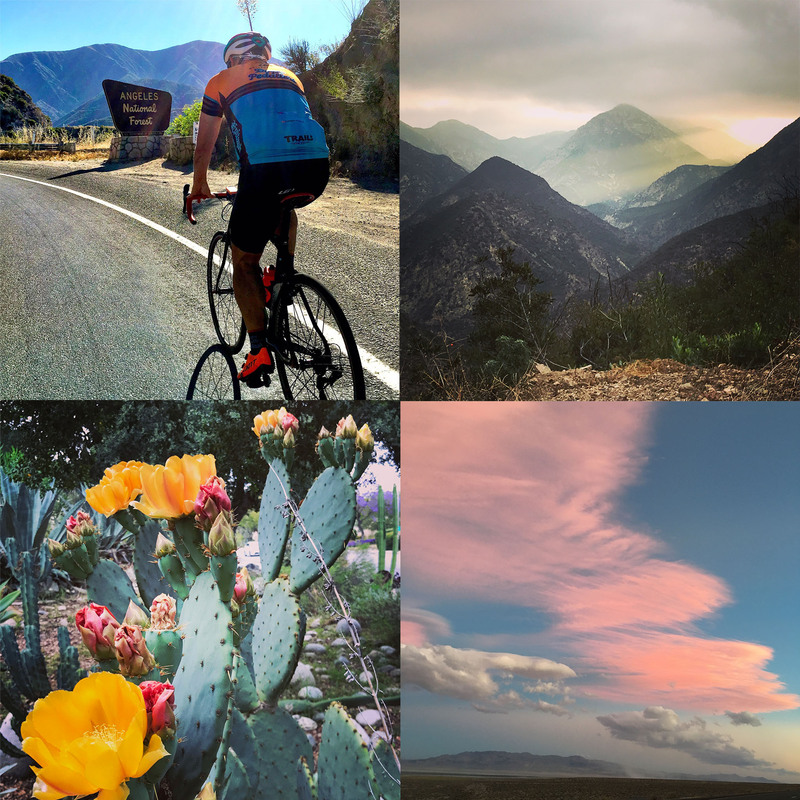 I cannot count the number of times I have resolved a logo or messaging thought while riding my bicycle through the mountains of southern California. When I find myself procrastinating with worry, or distracted by something immediate that appears to be important, or simply tired from hours of focused work these practices have kept me on point, allowed me to see deeper and find effective creative solutions.